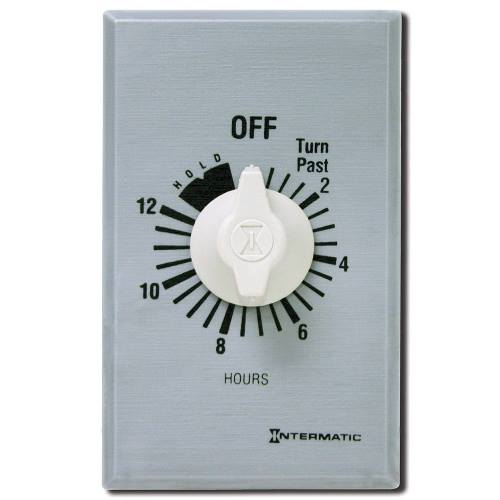 The FF12HHC from Intermatic is an auto-off timer meant to be used as a replacement for a standard wall switch. It can be used for either a single or multi-gang SPST switches to control things like timed air conditioning, heating, lights or other energy consuming products. It’s rugged commercial “brushed metal” look makes it ideal for use in commercial and industrial applications. 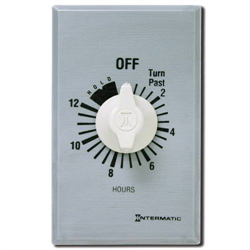 It comes with a hold feature which also lets you override the unit’s shut-off function. Doesn’t require a neutral connection to be installed. Dimensions: 2.79" x 1.6" x 1.19"